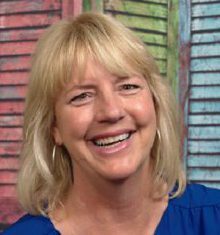 Kristi Rhodes is a PRO member of RWA and writes romantic women’s fiction and romantic comedy set in the Caribbean and Florida. She also writes short non-fiction pieces on topics ranging from tropical travel to attending an amazing author talk. In her spare time, Kristi bikes through the woods, is challenged by her yoga class, and visits her family in Florida. Ms. Rhodes is a member of RWA, this chapter and CTRWA (Connecticut Romance Writers). She has been a member of RWF since 2011 and was the Treasurer, then the V.P. Programs and Communications, prior to be elected to President this year. You can also find her on Pinterest, Facebook and Twitter. Brenda Willis writing as A.M. Wells writes contemporary womens fiction with romantic elements. Heroines are always strong, but real. Not so perfect in an imperfect world. Heroes are handsome, of course, the take charge type of guys. Story ideas are inspired from a life of observation and inspiration. But mainly flow from an overactive imagination. Susanna’s Heart, a novella, was her first published work released in 2010 with Red Rose Publishing. A few years ago, she took the plunge into Indy publishing. In addition to writing A.M. is an artist, web designer, and graphic artist. You can find her website at www.amwells.net. Deborah Blake is a PAN member of RWA, and belongs to this chapter as well as the Contemporary Romance and Fantasy, Futuristic, and Paranormal chapters. She has published eleven novels, including the Baba Yaga, Broken Rider, and Veiled Magic series for Berkley, as well as four novellas. She has also written eleven nonfiction books on modern witchcraft for Llewellyn Worldwide, along with a popular tarot deck. She is currently dipping her toes into the world of self-publishing while shopping contemporary romance and women’s fiction novels. She lives in rural upstate NY in an old farmhouse with four cats who motivate her to write by constantly demanding to be fed. Avery Cove writes both historical and contemporary novels. She has a degree in Creative Writing and has been PRO for several years. Her current plan is to finish her contemporary series, loosely based on a town in the Ozark mountains. Avery works full-time as head cataloger for a regional library system. She’s married to a true Renaissance Man, has four children and eleven grands, plus three greats. She is the proud owner of five cats and one very spoiled dog. Time permitting, she reads, writes, dabbles at drawing, and pretends she’s making music on her keyboard. Ms. Cove lives in the hills of Arkansas where four-legged critters outnumber the people. Avery is a member of RWA and many online chapters. You can find her on Facebook and Twitter. Her website is www.averycove.com and she writes at Sheila’s blog. Joan Leacott writes, and proudly self-publishes, contemporary multi-generational novels featuring the lives, loves, and scandals of small-town Clarence Bay, Canada. After releasing her third title, Joan put her newly-honed Word formatting skills to use for her friends and Woven Red Author Services was born. The delivery of her course Mastering Word for Fiction Writers is imminent. Joan spends her winters in Toronto attending plays, ballets, aquafit and hot yoga classes. Her summers are spent on the shores of Georgian Bay relaxing on the deck with a romance novel and a glass of wine. And writing. Ms. Leacott is a member of the Romance Writers of America. Her home chapter is in Toronto, and she belongs to a number of online groups. Check out Joan’s books at www.JoanLeacott.ca and her author services at www.WovenRed.ca.